Home NEWS The University Hosts a Workshop About "Culinary Culture and French Food"
The University Hosts a Workshop About "Culinary Culture and French Food"
The Office of the Assistant President for Community Affairs at AAUP organized a workshop about culinary culture and French food, in partnership with the French Cultural Center of the French Consulate, the workshop hosted French media chef specialists Francois Roboth and Philippe Bourguignon, and the former general manager of Paris' most famous restaurants. 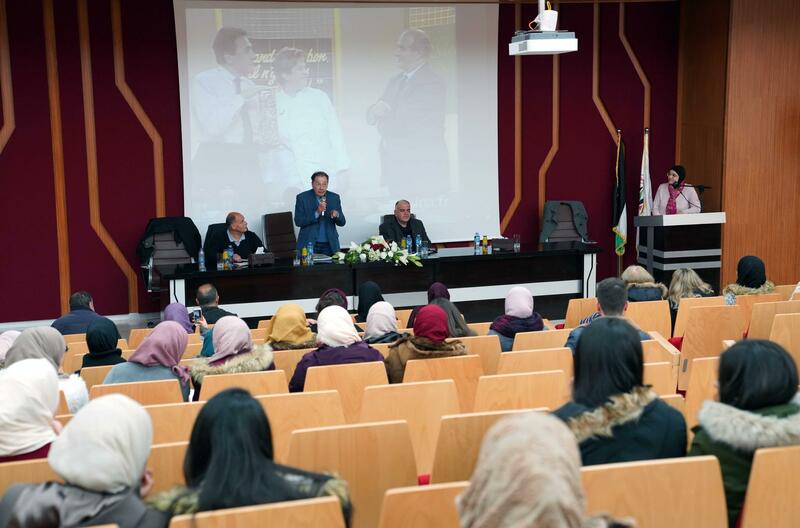 The workshop is part of the French Cooking Week in the Palestinian territories in its fifth edition. The workshop was opened by the Assistant President of Community Affairs Dr. Iyad Dalbah, in a speech he welcomed the attendance, pointing out the importance of other cultures knowledge, assuring the benefit of networking between various international institutions and the university. Francois Roboth gave a presentation about the French traditional and how it development in the last century, which witnessed the expansion of serving dishes, based on the different nationalities and multiplicity, which migrated from different parts of the world and settled in France, which has enriched the French kitchen and the variety of dishes and tastes, He said that the French dish was ranked the highest in the world, according to UNESCO reports, for their commitment of three meals a day in specific periods, in addition that the dishes include variety of essential ingredients, and exclude processed foods, low sugars, fats and salts that harm the health. General Manager of the most famous restaurants in the Paris Mr. Philippe Bourguignon, talked about the distinctive taste and unique experience in food. He recalled his experience in hosting the world's most famous political figures, including the martyr Yasser Arafat, and the challenge he faced in the difficulty of bringing high-profile figures to one table and satisfying all tastes at a celebration where the Paris Economic Agreement was signed. 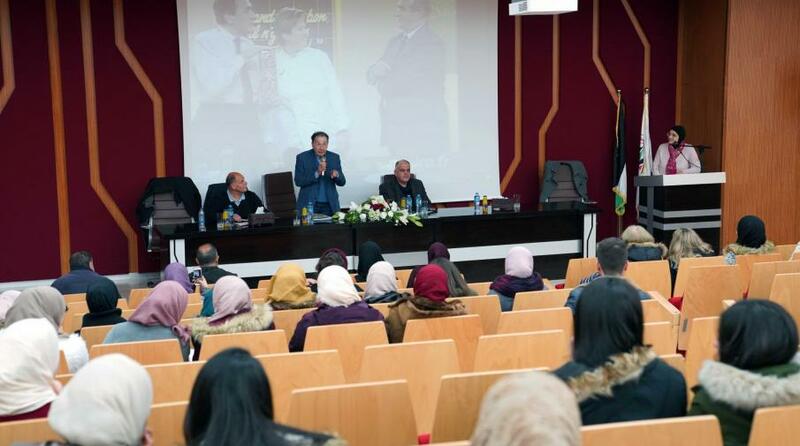 It is noteworthy that the French media delegation that’s specialized in cooking has a series of meetings and events in Palestinian cities, and will be followed by a series of workshops about the French bread, tasting cheese, French chocolate, and the preparation of a French dinner with a French and Palestinian chef.